James Kent Associates uses a Culture-Based Management approach with corporate, government and community clients, both within the U.S. and abroad. 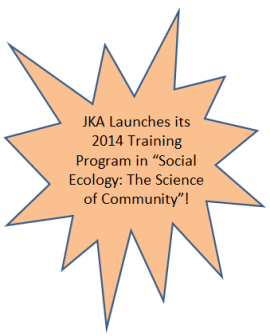 JKA has developed and refined a methodology over the years that allow a community and the proponent of an action to benefit mutually from proposed change. In more than 200 communities where we have worked with these techniques, we have fostered the mobilization and empowerment of people in a manner that enhances both community and institutional capacity. In our projects, we have been able to prevent, manage, and/or reconcile disputes in a manner that has enhanced the quality of the project and of the community. JKA projects have included Environmental Assessments (EA), Environmental Impact Statements (EIS), public participation processes, and strategy implementation plans for proposed ski areas, resorts, airports, mines, housing projects, industrial parks, golf courses, power generating facilities, military installations, and river/watershed restoration and recovery, among others. JKA pioneered the concept of community-based interpretation of the National Environmental Policy Act (NEPA) through creative use of the Policy Section 101 of NEPA. We have experience in implementing NEPA, Superfund, the Clean Water Act, and other federal and state environmental compliance laws. In the last two decades particularly, we have focused on natural resource management and the development of theory and methods that account for humans in the ecosystem (bio-social ecosystems), which has led to success on the ground in a wide range of locations.